Bill has tried cases in both state and federal courts. He has tried over 60 jury trials to completion, numerous bench trials, arbitrations, and has defended and taken hundreds of depositions all over the country during the course of his career. He has been involved with and tried cases for clients ranging from international companies to small businesses. Those areas of practice include pharmaceutical and medical device litigation, medical malpractice defense, product liability litigation, transportation litigation, business litigation, and commercial litigation. Bill is listed in the Best Lawyer’s of America, is AV rated by Martindale Hubble, and is listed in Alabama Super Lawyers. Bill has been admitted to practice pro hac vice in numerous courts throughout the county and has defended depositions in Europe and Canada. 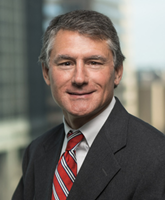 In addition to his normal litigation practice, Bill has served as general counsel to a leading transportation company as well as a national wood products company. In that role, he managed all facets of the company’s legal and compliance matters, from day-to-day consultation to the most complex and significant pieces of litigation. Bill is currently active in numerous legal organizations including the International Association of Defense Counsel, the Alabama Defense Lawyer’s Association, DRI Commercial Litigation Division, and the Trucking Industry Defense Association. For many years, he was a frequent staff member of the Alabama Defense Lawyer’s Annual Trial Academy and is a past board member of the Alabama Defense Lawyer’s Association.